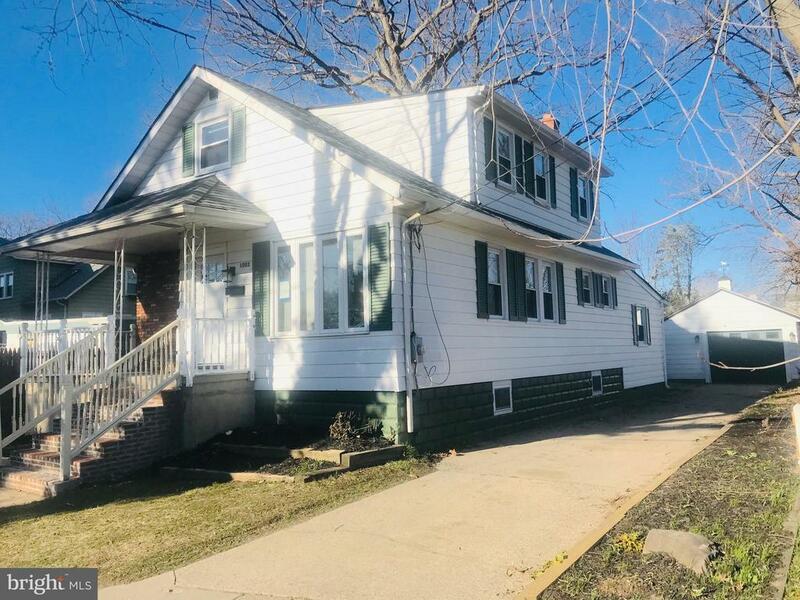 All Oaklyn homes currently listed for sale in Oaklyn as of 04/22/2019 are shown below. You can change the search criteria at any time by pressing the 'Change Search' button below. If you have any questions or you would like more information about any Oaklyn homes for sale or other Oaklyn real estate, please contact us and one of our knowledgeable Oaklyn REALTORS® would be pleased to assist you. "Be the first to live in this just remodeled home. Large, open , spacious-light, bright and neutral throughout. This home combines old world charm with newer amenities. All new(2018/2019) siding, capping, new sewer and water lines to the street. Sod grass. New front steps and wrought iron railings. Newer roof with architectural dimensional shingles. All new (2018/2019) flooring, sheet rock, electric, plumbing, interior and exterior doors. Enter into this lovely home from the enclosed sunroom/family room. LArge and spacious with lots of windows for tons of natural lighting. Beautiful leaded glass entry door into the foyer. New open concept living room with triple bow window sitting area, brick wall with electric fireplace(to be installed), open yet formal dining room which flows into the large open and spacious kitchen! Gourmet chiefs delight- lots of white shaker cabinetry, granite counter tops, all stainless steel appliances includes a 5 burner stove and stainless steel custom hood fan. Subway tiled backsplash. Island breakfast bar, deep prep sink, high end plumbing fixtures include a water faucet over the stove as well as a multi faceted faucet on the prep sink. A large mud room and a bonus room/office/playroom/1st floor bedroom. A full hall bathroom with stall shower- perfect for in-law or private guest bathroom. Beautiful staircase to second floor. Expansive custom master suite features a triple bow window seating areas as well as a 2nd electric wood mantel fireplace(to be installed)with oversized impressive full private bathroom, large jacuzzi soaking tub, tiled stall shower with seamless shower doors, double sink, and new fixtures, and a huge walk in closet. Recessed lighting and wall to wall carpeting. 2nd floor also includes laundry with front end loading washer and dryer, additional good sized bedroom. 3rd floor features 3rd & 4th bedrooms, open loft area and full updated bathroom with subway tiled shower and glass doors. Show and sell!!!" "Highly sought-after location. A spacious brick Colonial home situated on generous lot and located just steps away from the beautiful Knight Park, short distance to the Downtown Collingswood Restaurant District, Newton Creek Park and Cooper River Park. 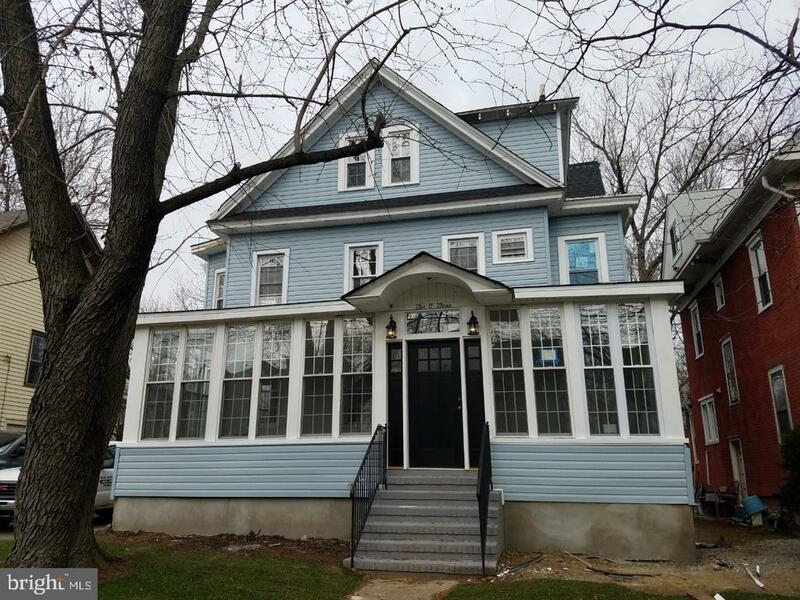 The home features four to five bedrooms, beautiful hardwood and pine flooring throughout, original custom moldings, nine-foot ceilings, ample storage space, waterproofed basement, charming screened porch, and much more. The exterior of the home is brick and shingle with a newer roof, the yard is open and well maintained and there is an oversized detached two car brick garage with an automatic garage door opener. Although built in 1924, the home has been owned by only two families and is ready for the third. Please don't miss your opportunity to see this fine home." "MOTIVATED Seller with beautiful home situated on almost an acre lot on a private, dead-end street, don~t miss out on this totally rehabbed 4 bedroom, 2 bath home. Large porch with recessed lighting welcomes you home. Spacious living room is adjacent to bonus room (let your imagination utilize this space). There is a formal dining room, huge eat-in kitchen, family room, full bath, and a laundry room on the first floor. The kitchen boasts tons of cabinets, recessed lighting, island with sink and dishwasher, granite countertops, tile backsplash, and stainless steel appliances, including 5-burner gas self-cleaning range, and refrigerator. Walk out to the two-tier deck through slider in family room which is adjacent to the kitchen. Stairs lead to second floor with three bedrooms and stairs leading to fourth bedroom , all bedrooms with carpeting and plenty of storage. Hall bath has tile tub surround and updated vanity, toilet, and tile floor. Additional amenities include: vinyl siding, fenced yard, 3+ parking, side entrance into mudroom, ceiling fans, washer, dryer, some newer windows, laminate flooring throughout first floor, 6-panel doors throughout, newer roof and heater, 5 ~~ baseboards, central air, 220 amp electric, and unfinished basement. Conveniently located closed to schools, shopping, medical facilities, and roadways to Philadelphia and shore points. Schedule your appointment now!" 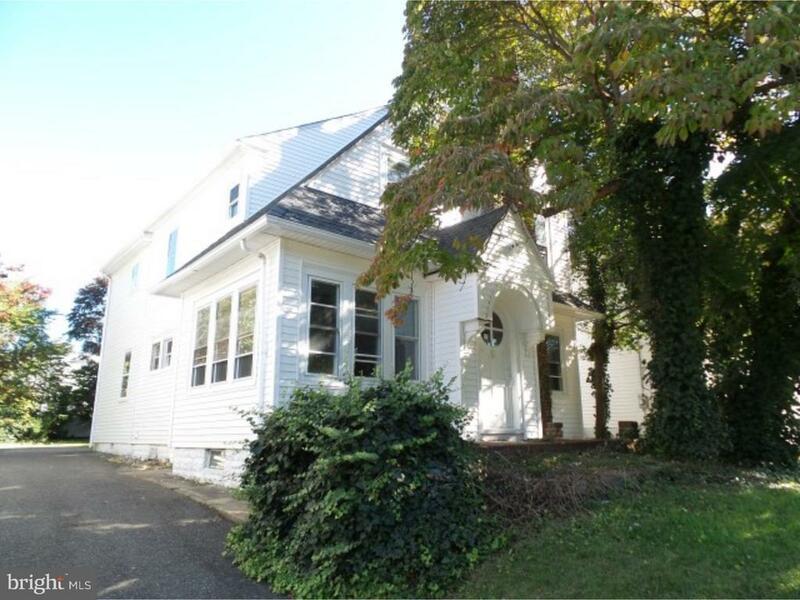 "Fabulous 4 bed 2 full bath colonial with a beautiful front porch, horseshoe driveway on a quiet tree lined street! Open foyer with hardwood laminate flooring that is throughout the first floor, Living room with bay window, and a custom kitchen with barn plank flooring and ceiling, 42 cabinets recessed lighting, a pantry and french doors lead into the Dining Room that also has access to the rear deck. The Family Room features crown molding and classic baseboard trim, sliders to the 8x19 exterior deck all perfect flow for entertaining. Upstairs has a beautiful master bedroom with ceiling fan and a loft with endless possibilities. All the bedrooms on this floor are generously sized with ceiling fans and a bonus room that can have a multi purpose use. The bath has been updated with tile floors, vanity/storage and fan. Full finished basement with laundry room, come tour today!" "Stop looking and start packing! 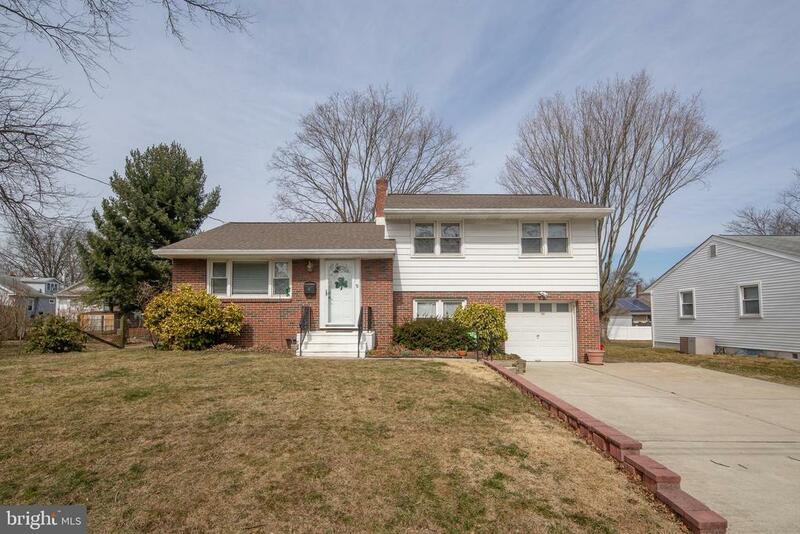 This gorgeous Haddon Township home is just what you have been looking for! As you enter the front door a bright sun room awaits with a large closet and updated half-bath. Through the sliding glass doors you will find a large livingroom with recessed lighting and gas fireplace. The dining room offers ample space for entertaining and leads to a large deck overlooking the yard. An updated kitchen with new backspash and plenty of storage with pantry and closet. Upstairs you will find an amazing master suite with large closets, updated bath and a beautiful view. Two additional bedrooms and a second full and updated bath complete the second story. The basement offers fantastic storage and has recently been waterproofed with sump and drain, covered by warranty. This home has so much to offer and is in pristine, move-in ready condition. Conveniently located close to major roadways; Rt 130, 295, NJ Turnpike, bridges, as well as popular local restaurants and shopping. So much to love!" "Hello and welcome to this happy Haddon Township Home! Situated in the desirable Heather Glen section, this meticulously maintained split level is filled with charm. A brick facade and the large grassy front really turn up the curb appeal. You'll notice the attached 1 car garage and a double-wide driveway for plenty of parking space. Step inside to a spacious, cheery, open flowing space. Pretty hardwoods and lots of natural light bring this space to life. The living room and dining room spaces are graciously sized. The fabulous kitchen was totally reconfigured and updated, boasting stainless steel appliances, granite countertops, upgraded lighting, soft-close drawers and cabinets, and plentiful cabinet space. Many custom drawers and pull-out storage maximize the effectiveness of this space. Downstairs you will find a cozy den and an updated powder room. Access to the garage and back porch are also located here. 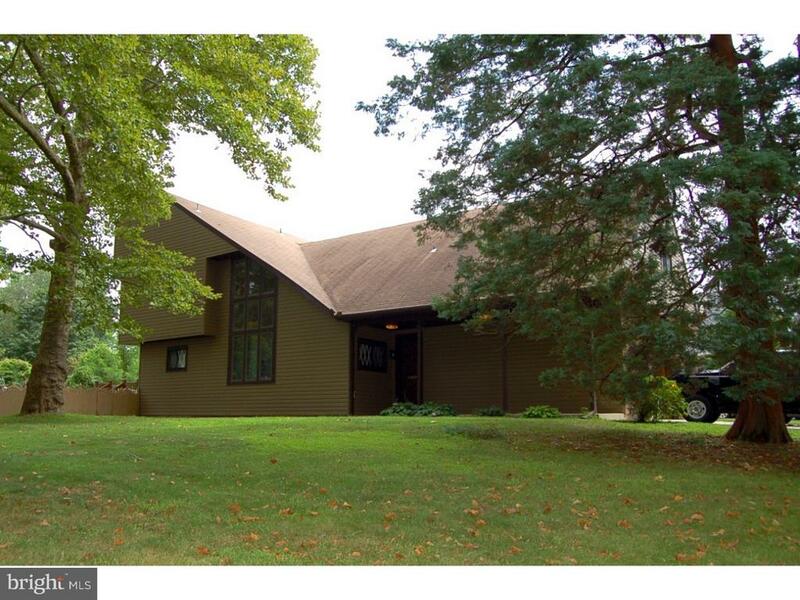 Additionally, this home features a large basement with high ceilings... rarity in Haddon Twp! This fully waterproofed space could be easily finished, or kept as is for laundry, storage, and additional work space. Head upstairs to find three nicely-sized bedrooms, all with great closet space. The sizable master has a double wide closet and ceiling fan, with natural light pouring in from windows on two sides. The main hall bath is nicely sized and updated in neutral tones. The yard is open, grassy and sunny, requiring minimal maintenance. A storage shed helps keep the garage clear. The home features newer HVAC and duct work, updated plumbing & electrical, and many other touches. The location cannot be beat - Jennings Elementary is just around the corner, and many local businesses are within walking distance or a super quick drive. Enjoy the nearby parks, delis, bars, restaurants, hiking trails, coffee shops, and everything that makes Haddon Twp great. Immediate access to the White Horse Pike. Extremely convenient to PATCO, 295 and other major commuter byways. 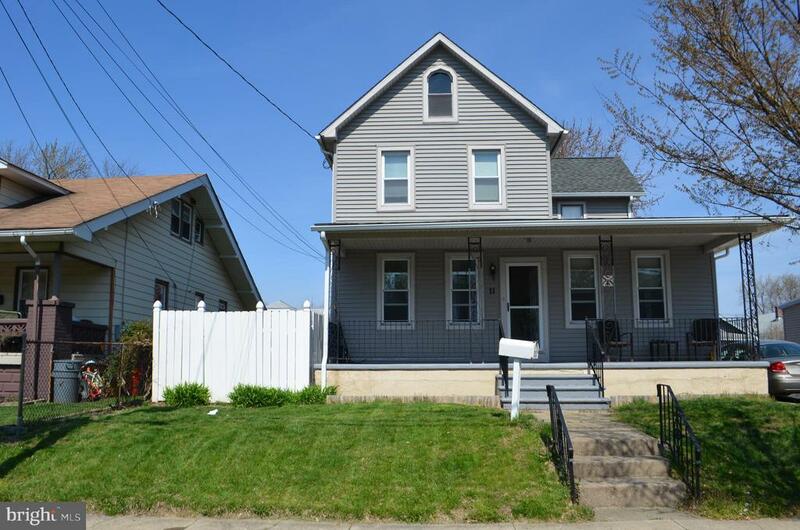 Ju"
"This beautiful single family home is centrally located in a quiet part of town and is in walking distance to stores, restaurants, Tonewood Brewery, and the grade school. The large open front porch allows for relaxation and good conversation. As you enter the home, you'll notice the very high 10 ft ceilings throughout, the original re-finished hardwood floors, the brick wood-burning fireplace with new liner, and the spacious size of all the rooms. There are two large living rooms, a formal dining room, and two bedrooms on the first floor, along with a full bathroom. As you enter the upstairs, there are two more bedrooms, a full bathroom, and an extra open playroom/office. There is plenty of storage space both upstairs and in the basement. The backyard is fenced in and has a very large patio in which to relax on. 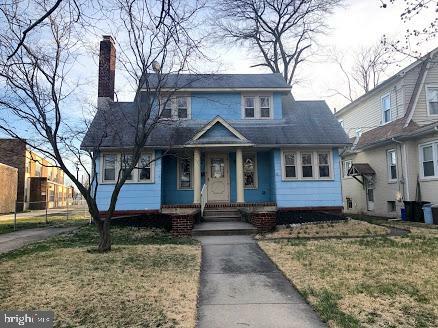 This property has a brand new roof with 50 year shingles, a new hot water heater, new electric throughout the whole house, new basement windows, a newer heater, newer house windows, and freshly painted walls throughout. This home does not have central air, but the buyers are willing to negotiate a credit towards having it completed. There is plenty of parking in the four car driveway and the neighborhood is very friendly and inviting. This property is a must see for such a desirable town." 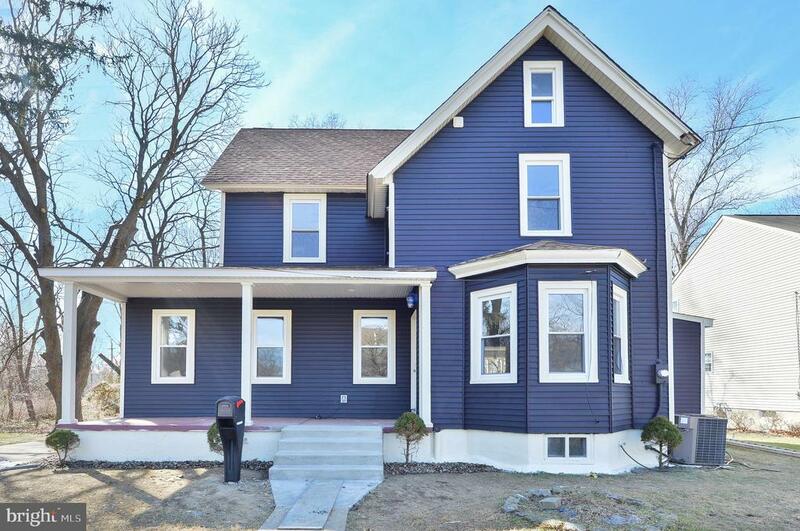 "Wonderfully remodeled Colonial in Oaklyn. Your like new home features an all new kitchen with new cabinets, new granite countertops, laminate floors and new appliances. New baths with new fixtures. New floor coverings and paint thru out. Also New HVAC, roof siding and HWH. Will not last!" 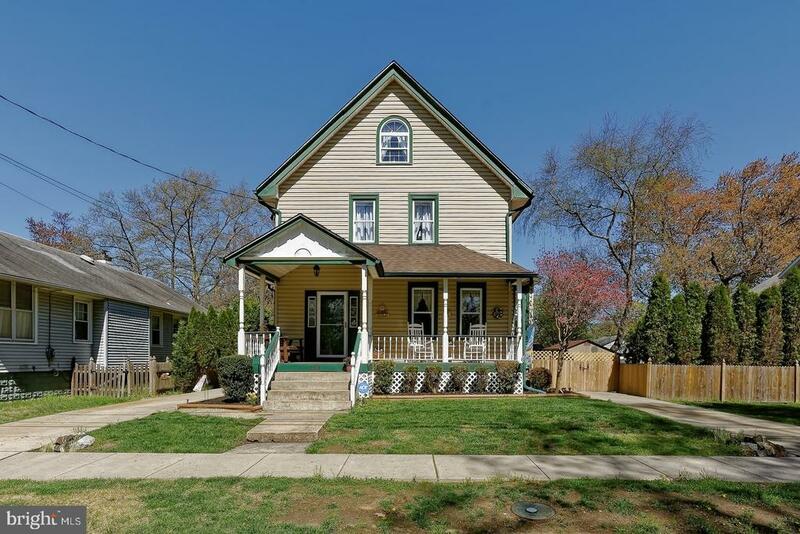 "Great Collingwood home with walking distance to the Collingswood Historic famous business district and Knight Park Playground. Enter into the front porch with beautiful yard driveway leading to the back garage, stone patios and yard fence for privacy. Entrance into the open family room with gas fireplace, hardwood floor throughout and large dining room with plenty of windows. Further to the left are 2 large bedrooms with full updated bathroom and to the rear is the full granite kitchen with stainless steel appliances. Furthermore, the staircase leading to the upper floor with a full bathroom, 3 full bedrooms and one bedroom plus an additional baby monitor room. To the lower level is a full basement with high-efficiency furnace updated recently, laundry and plenty of storage. There is a door leading the rear beautiful private yard and garage for easy entrance. This home is located minutes to all South Jersey has to offer, minutes to all bridges and Center City. Schedule your showing today." "Location, Location, Location! You cannot ask for anything better! Walking distance to shops and restaurants, this adorable cape is situated on a corner lot, and a no outlet street, boasts a detached two car garage and two driveways! The large backyard is fully fenced, with a patio. Inside you will find original hardwood floors throughout the downstairs. The large eat in kitchen is has plenty of cabinet space, with a nice modern feel, topped off with concrete countertops. Directly off the kitchen is a large mudroom, with barstools into your kitchen area, and your laundry room. Completing the first floor are two bedrooms and a full bath. The basement is partially finished on one side, the other side is great for storage! Upstairs you will find your huge master bedroom, complete with a walk in closet, and in suite bathroom. This house has so much to offer, come and make it your home!" "TAXES reassessed - approx taxes now $9,600....Lakeviews......3 Car Garage.....quiet street.....is what you will find when you view this custom home. This is a very spacious home that has character in every room. It is truly one of a kind with beautiful open hall and stairway that looks over the great room with fireplace and wall to ceiling windows. The second floor offers two large bedrooms with connecting Jack and Jill Bathroom. Bedrooms have with wall to wall closet space. Spiral stairs bring you to the unfinished third floor that has lake views. Back on the main floor enter through one of two sets of pocket doors that lead into the dining room or kitchen. Spacious kitchen with sliding doors that lead to a deck with lake views. Walk up the second staircase into the bonus room which features a full kitchen and full bath with soaking tub. *** Home has been reduced significantly. *** Owner says bring me an offer! Home needs some TLC and is being sold in as is condition as this is an estate sale." "Sitting on a corner lot, with a huge backyard in a desirable neighborhood, this fabulous MOVE-IN ready home has it all! The downstairs features a spacious living area, a modern open-concept kitchen, and a back door that leads out onto a deck to take you into your new fenced-in backyard where you will host many parties to come. This property boasts four newly painted and floored bedrooms and TWO FULL bathrooms (with bathtubs for the kids!) The kitchen is a gorgeous focal point of this stunning listing- featuring custom cabinetry, glamorous granite counter-tops, slow-close drawers, subway tile work, and INCLUDED stainless steel appliances. There is a drive-way to offer off-street parking, as well. This property is conveniently located near local amenities, schools, and commuting roads. If you~re not here yet- you should be! Make your appointment for your private tour today!" "Wow! Haddon Township school district and two full baths. 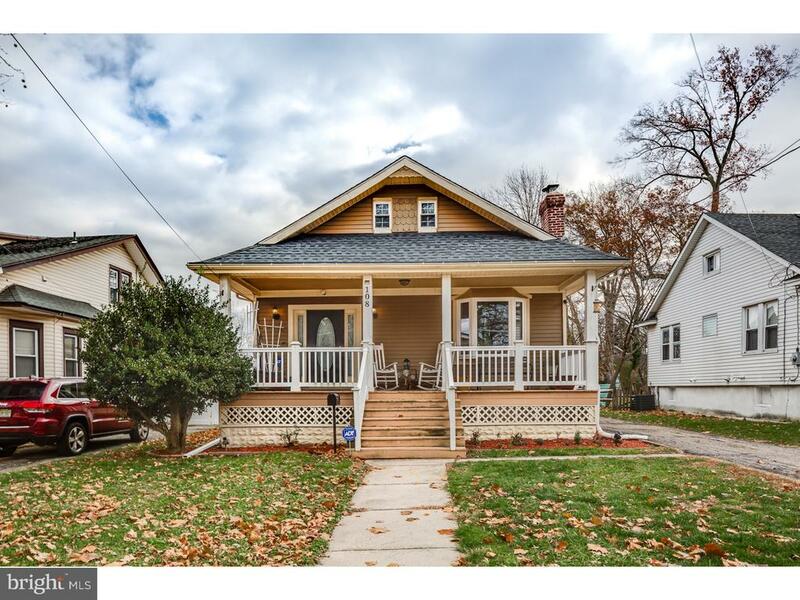 Step into this lovely well cared for bungalow style home. The spacious living room is bright and neutral with a light filled enclosed sun porch. The newer kitchen boasts stainless steel appliances, granite countertops and a breakfast bar !! The kitchen also leads you to a fabulous covered deck. This home also features a large dining room for your family gatherings. The main level bedroom boasts a large closet with plenty of natural light. Journey upstairs where you will see two bedrooms with a bonus area to create what ever your heart desires. There is also a basement for all your storage needs. Breathtaking landscaping with hardscaping and a abundance of perennials make it picture perfect. Did I mention a two car garage with plenty of parking. Great area providing lots of opportunities for outdoor recreation and enjoyment. Close proximity to Patco and major routes to Philadelphia, Atlantic City. 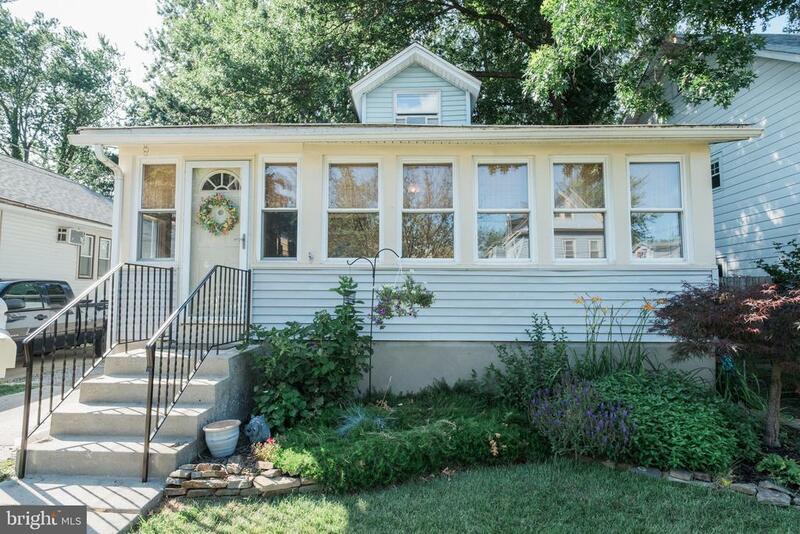 This cozy Home is nestled on a quiet street just waiting for its new owner. There are hardwood floors under the carpets." 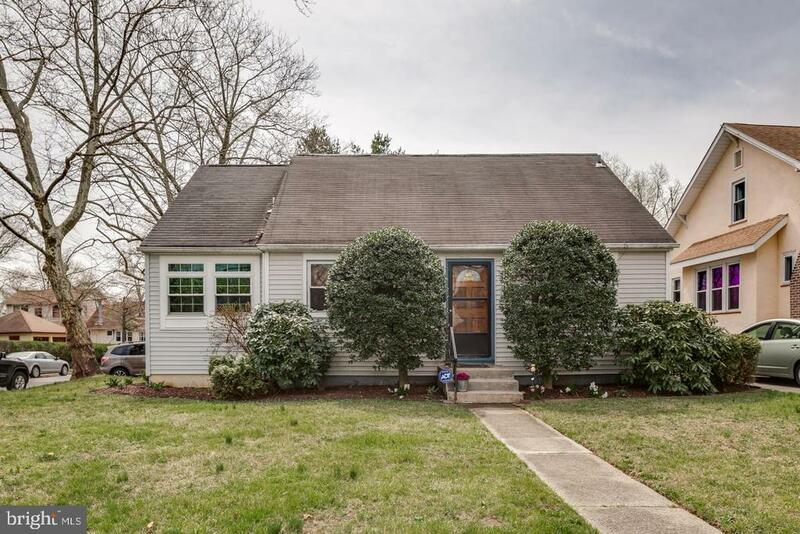 "Updated move-in ready spacious sun filled home. Featuring 4 bedrooms, separate formal dining & formal living Room, Large Eat-In Kitchen with walk-in pantry & bright and sleek white shaker cabinets & new appliances. Large step down family room with brick surround fireplace, enclosed sunroom overlooking a level rear fenced-in yard. Plenty of closet and storage space, full unfinished basement 1.5 car garage and off street parking." 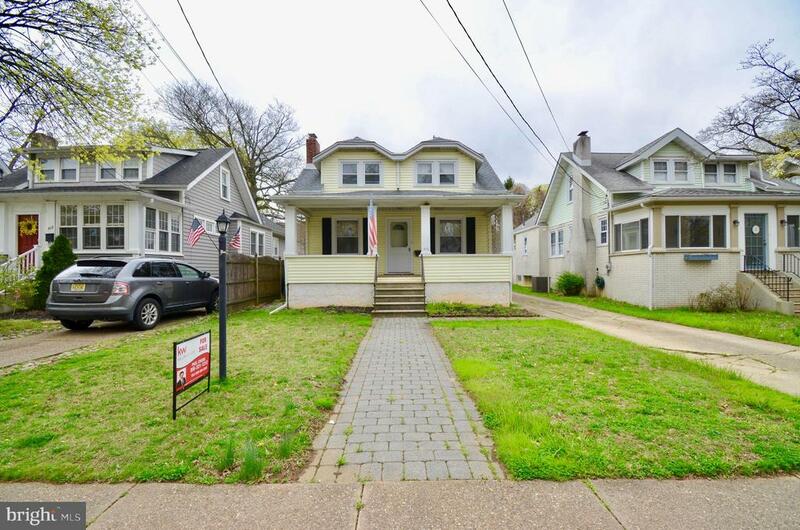 "Move in to this renovated gem in desirable Oaklyn. 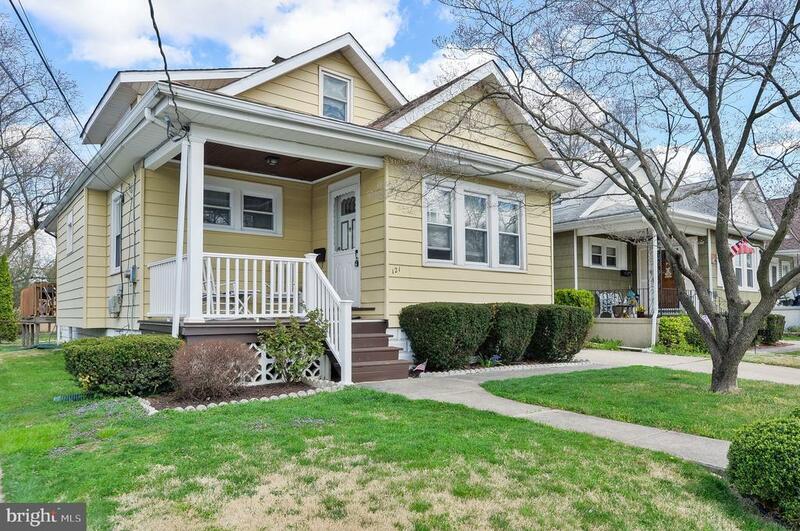 Take advantage of the renowned school system, Specialty Shops, Restaurants, Drug Stores & Convenience stores all along Clinton Ave, Haddon ave and rt 30. Walk 1/2 Block to popular Newton Lake and very close to tree lined waterfront Cooper River Park. Buyer is responsible for their own investigative information on SqFt of home, Room Sizes, Bathroom counts, taxes and all other information regarding this home. A great opportunity." "show property from street - All offers to be placed on (see agent remarks) PROPERTY IS BEING SOLD AS-IS, WHERE-IS. NO INSPECTION CONTINGENCY OR ACCESS TO PROPERTY ALLOWED. Property may be occupied. Please note, it is unlawful to trespass on this property. Do NOT DISTURB TENANT. All showings take place from the street view. There is no internet transaction fee. Title to this property will be conveyed via Quitclaim Deed or its equivalent with no express or implied warranties of title. Buyer to select the closing company or attorney to handle the closing. Seller to pay taxes, HOA and municipal/utility liens. All other fees to be paid by buyer. Cash buyers only. Buyers to close within 30 days. minimum deposit is 5% or $2000, whichever is greater. Listing Agent has no access to property therefore all information in mls cannot be verified. Property is subject to a RIGHT OF REDEMPTION period." "A Gardener's Delight! This meticulously maintained and wonderfully upgraded 3 BR, 2 BA home will delight you with creative details and quality workmanship throughout! Enter the home into a sun filled Living Room with hardwood flooring. The Dining room is open to the~kitchen and features a breakfast bar accented with pendant lighting, hardwood flooring. The Kitchen offers Maple cabinets, Granite countertops, tile backsplash and a full appliance package. One spacious bedroom and a renovated full Bathroom complete the first floor. Two bedrooms and a full bathroom is upstairs- with a sitting area. Travel downstairs to the Basement (located off the Kitchen). The exquisite backyard is fenced in - overlooking a massive koi pond, ~You'll appreciate the fact that this home is so ideally located... 1 mile from PATCO, Collingwood and Haddonfield centers,15 minutes to Center City and the Philadelphia airport. Come see this home! You won't be disappointed!" "Come see this 3-4 Bedroom 2 full Bath home. Located on a quiet one-way street this house has both a lovely front porch as well as a back deck that you can enjoy. This home has 3 bedrooms on the second floor and one on the main floor. This property is close to major roads and transportation. Come see this Home." "House is being sold AS-IS. 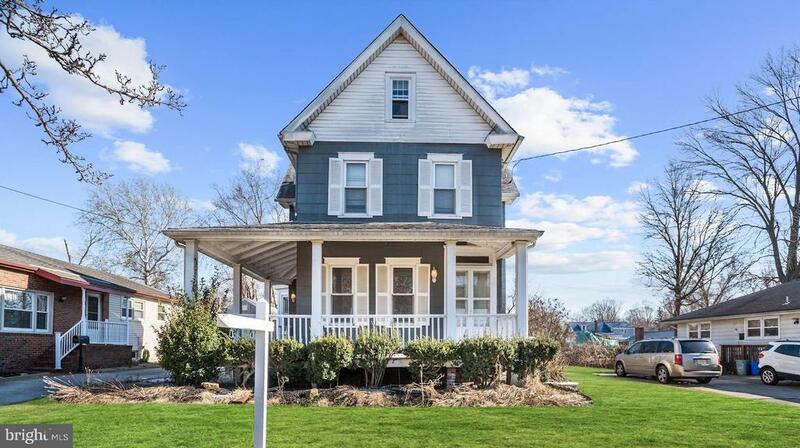 Seller will pay for CO.Come out and see this Victorian home in the Oaklyn Manor section of Oaklyn. This home has plenty of charm starting from the wrap around porch to the large yard and 3 season room off of the back of the home. This home has 3 Bedrooms 1 & 1/2 Bathrooms. Large eat in kitchen with updated stainless steel appliances. Also, open floor plan from dining room to living room. There is also a walk up floored attic which could be converted to living space. Welcome home ! Close to all major highways, Patco Speedline, shopping and many dining options so close by. Schedule your appointment to see this today !" 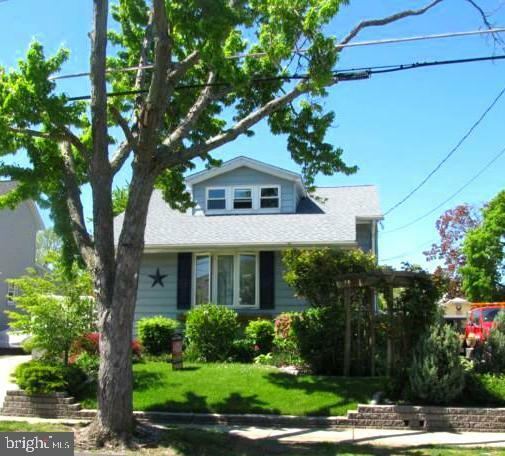 "Welcome home to this beautifully maintained bungalow in the heart of sought after Oaklyn. Walking distance to downtown which features hot spots Tonewood Brewery, The square Meal etc. This home features fresh paint, newer carpets, an expanded full eat in kitchen, 3 bedrooms, newer bathroom and more! You can move right in and unpack. There is large new deck off the back and new back fence. Enjoy beautiful nights on the front porch rockers. Sellers are willing to negotiate furniture as well. DONT MISS THIS ONE!" 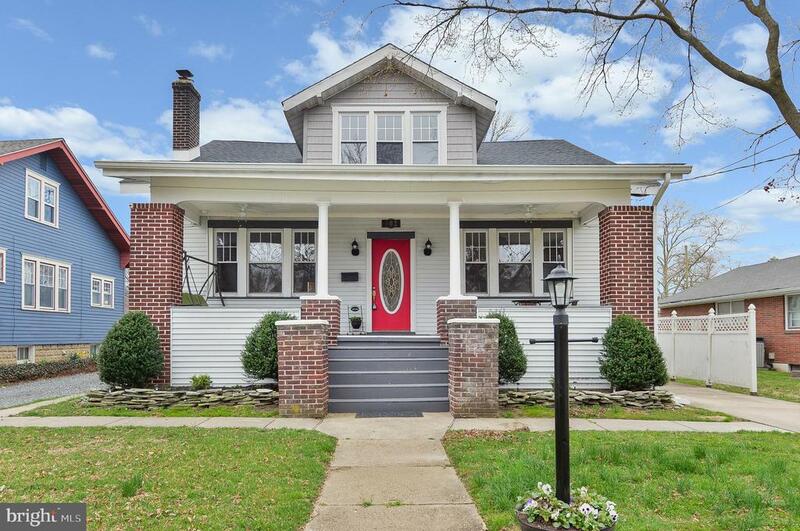 "Located smack dab in the middle of downtown Oaklyn, where you are just steps away from favorite local attractions and a highly rated restaurant scene. 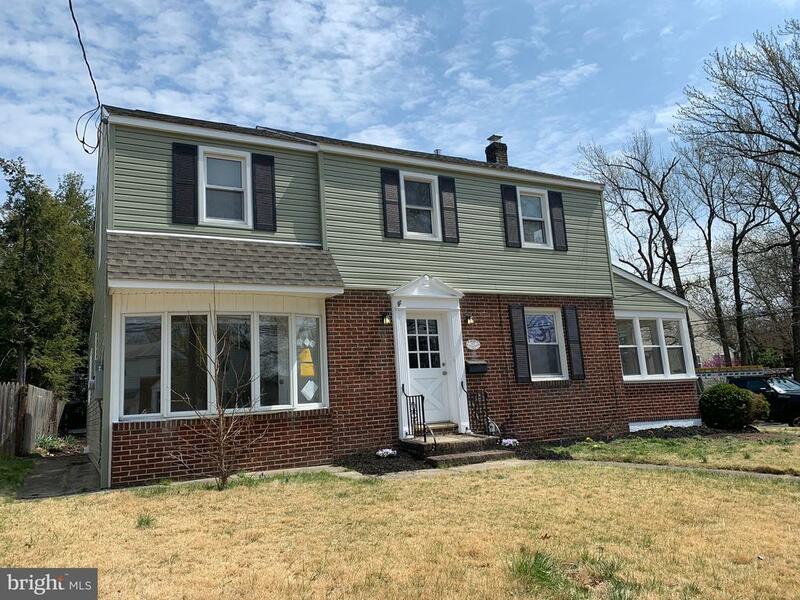 The neighborhood walkability is rare, also close to the patco speedline and major connecting roads that make commuting to Philadelphia a breeze. The interior has hardwood floors, built in closets, custom windows and unique characteristics. This home is in need of someone with the imagination and ability to bring it back to life! Get your offer in today!!!" 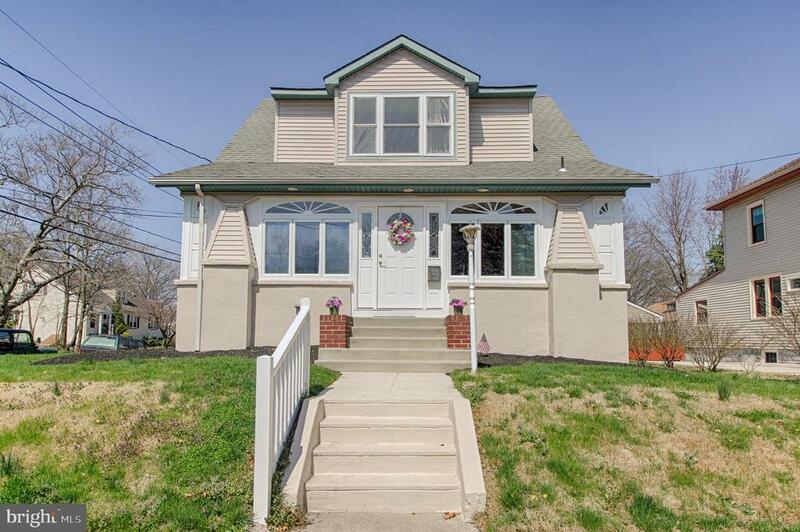 "Welcome to this charming cape on a quiet street in happening Oaklyn. 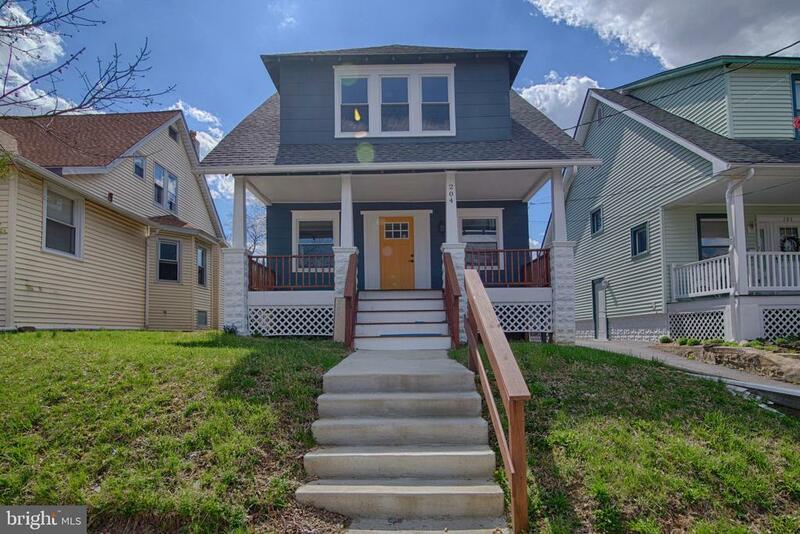 Enter through the sun filled front porch with hardwood floors and newer vinyl windows. From there, step into the living room with original chestnut woodwork. Original hardwood floors on main floor have been refinished and new windows installed along with ceiling fans and fresh paint throughout. The kitchen is well appointed with a counter sunk sink, stainless steel appliances, subway tile backsplash, and new floor. There are two nice sized bedrooms on the main floor and one on the second with additional storage. The home features a large, fenced-in back yard that is great for entertaining with a stone patio and custom built bar. There is plenty of storage with a full basement and shed in the back. 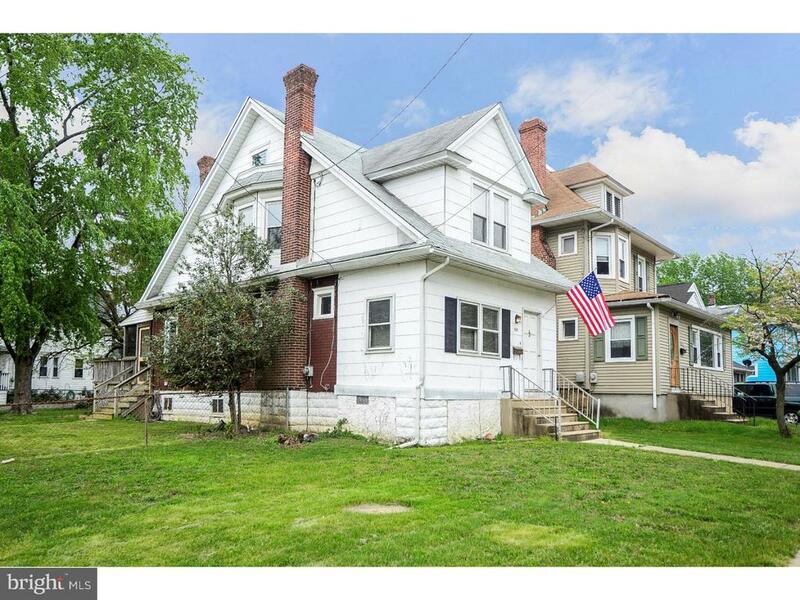 This home is conveniently located close to downtown Oaklyn, Newton Lake Park, and the Collingswood Farmers Market. 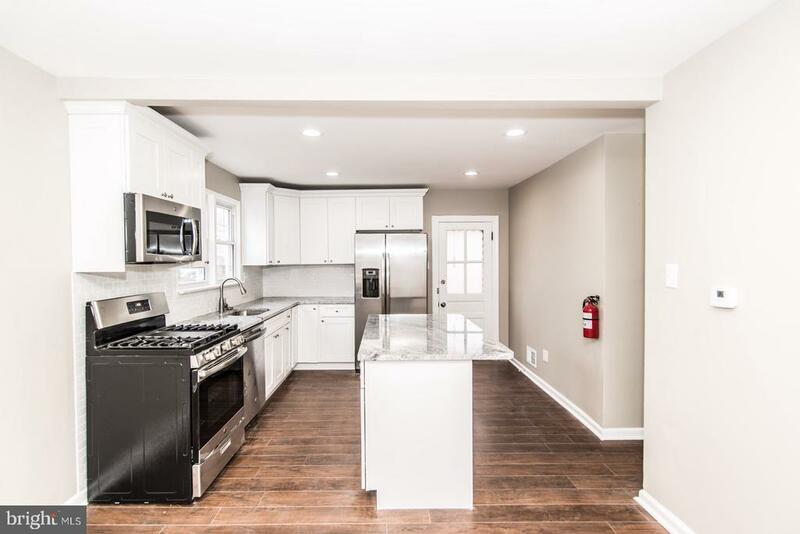 There are many stores and amenities within walking distance along with a Patco station within 2 miles making this home an easy commute to Philadelphia with a friendly community to make home. This will not last, schedule your showing today!" "WOW! As you walk up to the home the pop of color on the front door really sets off the new front porch. Then come into the open concept first floor which is warm and inviting with the dark hardwood floors, brand new kitchen with stainless steal appliances. Slider doors leading to a large new deck perfect for outdoor entertaining. The crafty touch of a barn door at the kitchen leading to the mud room. Upstairs you will find the completely renovated bathroom complete with subway tile and large vanity. In the hallway is an oversized closer for extra storage. 3 good size bedrooms complete the upstairs. The basement is clean and ready for you to turn it into another living area or workshop. Did you see the garage? so much space for a workshop or storage. It even has electric. Don't forget the New Roof, Electric, and Plumbing! Nothing to do but move right in! Don't wait schedule to see this gem today." "Location+! Your home is waiting for you! Corner 2-story Traditional home on an oversized lot with 2 car driveway. Enter into a great enclosed front porch with four windows, coat closet, paneling and wall to wall carpet. The original exterior windows (3) are still in place in a semi-circle pattern that adds dimension and interest. If you decide to open up the porch?imagine how pretty and unique the front of your house will be! This home offers many classic original features making it charming, inviting and a wonderful backdrop to some amazing memories. New Anderson windows throughout. Real wood doors. Stained glass. Original hardwood floors. Living Room with decorative fireplace, wood mantel with brick surround, hardwood floor, and ceiling fan with light fixture. Doorway leads to nice sized Dining Room with tray style ceiling, hardwood floors, ceiling fan with light fixture. Doorway leading to light filled Kitchen with plenty of counter space and doors leading to the unfinished basement and enclosed rear screened in porch. Off the rear screened porch is an open air wood deck overlooking the fire pit area; beautiful oversized tree waiting for that tire swing and an awesome enclosed side and rear yard waiting for you, your guests! Gate leads to/from driveway. Basement: unfinished; washer, dryer and mechanicals. At the entry hall with lovely stained glass you will find the stairs leading to the second floor. Bright front facing Bedroom, wall to wall carpet, windows overlooking Newton Ave, closet and ceiling fan with light fixture. Middle Bedroom similar to front bedroom. Full compact Hall Bath with shower/tub combination, vanity sink and inset toilet. Rear facing Bedroom with nice size closet and door leading to unfinished attic space. Attic: great potential? whatever you want and need it to be? This home is being sold AS IS. Purchaser is responsible for any corrections by Lender, Appraiser and Inspectors."